The Short Version: Singles today have so many social avenues and opportunities to make a date. AsianD8, a UK-based dating company, helps thousands of Asian singles meet date prospects both online and in person. Every year, AsianD8Events provides Asian singles with a full calendar of over 150 events where attendees flirt with one another in a low-key setting. At ping-pong competitions or speed dating nights, singles have an easier time breaking the ice, making new friends, and building relationships based on common interests. These niche events bring people together through shared values by catering to Hindu, Sikh, Muslim, and other Asian professionals living in the United Kingdom. Since 2003, AsianD8Events has facilitated hundreds of matches between singles looking for a chance to meet the perfect partner. If you want to meet new people, AsianD8Events can introduce you to a roomful of like-minded daters enjoying a fun night out. AsianD8Events inspires matches between many happy couples, including Sonia and Rupi. She agreed to go with Ed (as friends) to a Valentine’s Day event held by AsianD8Events. She figured since she didn’t have a date anyway, it couldn’t hurt to check out the local dating scene and meet other Asian singles. So Sonia and Ed showed up to the padlock party at Frederick’s Bar in Birmingham, England, and started mingling. The newly introduced couple went to pick up their raffle tickets together and struck up a conversation along the way. Sonia thought the initial spark would inevitably fizzle as time went by, but Rupi was dogged in his attention. They met up three times that week. By the third date, they were hooked and have been pretty much inseparable ever since. 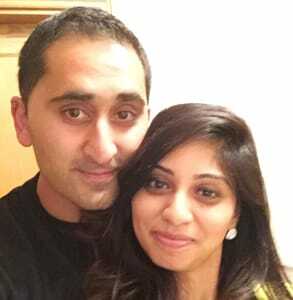 In her success story, Sonia said she was happily engaged to Rupi and thankful for the AsianD8 event that brought him to her. Though she went in a little skeptical, she came away with a life-long love. You can’t beat that! AsianD8 gives singles the tools to build connections with one another online and in person. AsianD8Events offers outgoing Asian singles an alternative to online dating through themed parties, including speed dating, pizza classes, and ping-pong competitions. Since May 2003, the UK dating company has hosted engaging events for thousands of singles looking for friendship, romance, and love. 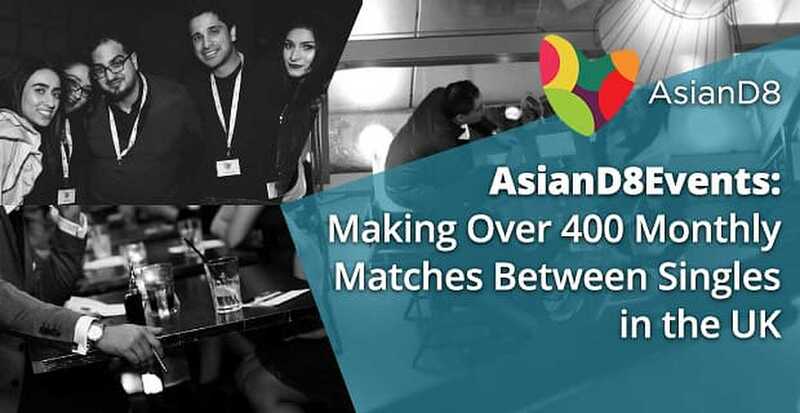 Currently, AsianD8Events organizes more than 150 events a year to tempt Asian singles in London, Leeds, Birmingham, and Manchester. These fun events encourage Asian singles to meet new people and start a conversation in an informal setting. After decades of running events for Asian singles, AsianD8Events has the process down to a science. Many people attend their events, especially the infamous padlock parties, to meet tons of available men and women who are interested in making a date. AsianD8Events’ Pizza Masterclass, for instance, invites attendees to learn something new (and enjoy something delicious) while meeting singles with similar tastes. A glass of bubbly and tasty appetizers start off the night and help people loosen up while mingling with one another. Hungry professionals come out to AsianD8’s Pizza Masterclass to mingle with local singles. Once the event gets underway, attendees handcraft their own pizza while a professionally trained chef offers pointers and encouragement. Then a little lighthearted competition and speed dating tops off the night. What’s great about the Pizza Masterclass is it comes ready-made with conversation starters like “What’s your favorite topping?” or “What’s your favorite pizza place in town?” Plus, you have the chance to impress a date by winning a head-to-head competition like the Calzone Challenge. AsianD8Events gets people moving, thinking, and talking. The activity-based gatherings are ideal for daters looking to mix it up with a crowd of new and interesting people. Jyoti said the speed dating events are the most popular events the company puts on. Hundreds of singles flock to these fast-paced events every month. Each event is limited to about 40 to 60 singletons, who have three minutes to introduce themselves before moving on to the next minidate. Each person gets a matching card where they can discreetly indicate who they’d like to see again. The team notifies attendees about mutual matches within 48 hours of the event. 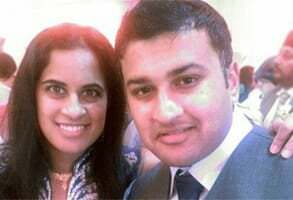 Dipa and Saumil felt an undeniable attraction when they met at a London speed dating event held by AsianD8Events. Plenty of singles have wound up in lifelong relationships after attending one of these speed dating events. Dipa, for instance, arrived early for an event in London, so she sat at the bar with her sister and cousin. Saumil was also there early and introduced himself. “Saumil said he liked my smile, and I admired his confidence,” Dipa said in her testimonial. “After the speed dating was over, we exchanged numbers, and then, after a few texts, we went on our first real date.” Today, Dipa and Saumil are happily married because they were introduced by AsianD8Events. AsianD8Events offers a low-pressure night of mingling among new friends and potential dates. The event organizers have seen lots of people come away with a new date or a budding relationship. In fact, AsianD8Events has made over 400 monthly matches between singles with similar interests and values. 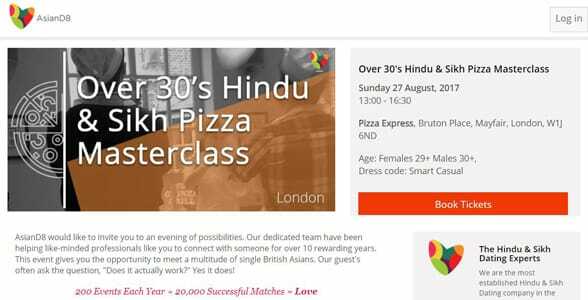 One single man said he met so many fantastic women at an event and had such a good time that he immediately bought himself a ticket for the next Hindu event in his area. However, he ended up seriously dating one of the girls from that first night, so he transferred his ticket to a friend. So many singles, like Sonia and Rupi, have met their partners thanks to AsianD8Events. The relaxed atmosphere and easy icebreakers at these events facilitate deep connections between attendees hoping to meet that special someone. The ideal dating environment is wherever you feel most comfortable being yourself and having fun. It’s a place where people with similar interests can gather and start a conversation. Ultimately, that’s what AsianD8Events seeks to create for Asian singles in the UK. Whether you’re looking for a lifelong partner or just something to do on the weekend, AsianD8 events are full of social possibilities and laugh-out-loud fun.